TODAY'S ACC HEADLINES: The ACC: What Next? 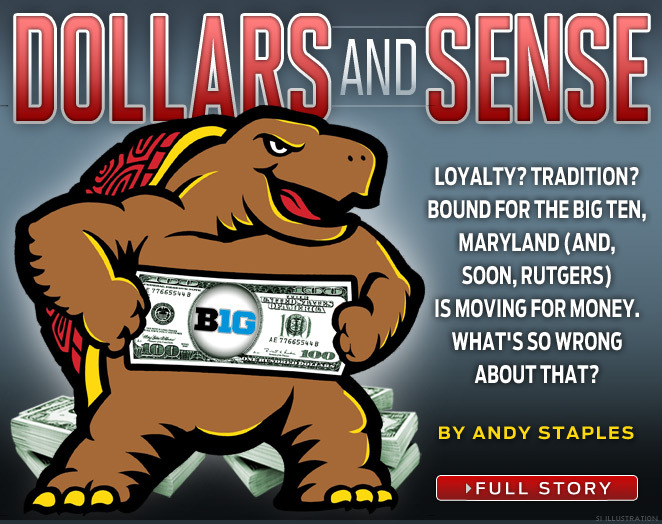 The football conference landscape will no doubt continue to change. Having grown up in Texas a fan of the Southwestern Conference (remember Texas, Arkansas, Texas A&M, TCU, SMU, Baylor, Texas Tech, Rice and Houston?) which highlighted Texas football from 1914 to 1996, the concept of a conference disappearing entirely isn't unreasonable. One of the top SWC rivalries was Arkansas vs Texas during the Darrell Royal era. Then one day, it was gone...GONE. Get ready for more of the long slow death of college football rivalries and geographic continuity as we snake our way to four football super conferences and an eventual divorce from the NCAA. Andy Staples - Sports Illustrated.